A signature blend of menthol with a tinge of sweetness. The perfect balance between menthol and a winter chill. Frost is a perfect recipe for anyone who gets a kick out of mentholated flavor or anyone transitioning from menthol cigarettes. 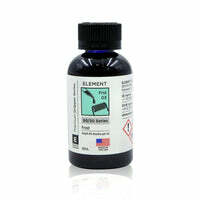 Frost - Element E Liquid has a rating of 4.0 stars based on 3 reviews.